Wondering which computer is the best deal? This article will give you some tips and tricks in knowing which computer will give you the most bang for the buck. This advice is true whether you are buying a desktop computer or a laptop computer, though generally laptop computers are not going to last as long as a desktop, and will be more costly to repair. Generally speaking. most laptops have the same basic features. They all have keyboards, touch pads, microphones, cameras, DVD drives, USB ports, and LCD monitors. So why the big difference in price? What exactly are you paying for? It all boils down to 4 basic things: the type of processor, the amount of memory, size of the monitor, and the size of the hard drive. These 4 things are what you need to consider when making a purchase. The most important of these 4 in making a decision is the processor. The hard drive and memory can be upgraded or swapped out easily. The brand name no longer means a whole lot. Historically, there have been good Dell laptops, and bad Dell laptops. There have been good HP laptops and bad HP laptops. What you are buying with the name is really the ability for the computer to be serviced during the warranty period, or down the road if it breaks after a few years. Almost all computers come with a limited 1 year warranty, and generally most of the big name manufacturers offer the same level of support. The laptop monitors are all pretty basic. They have an LCD display with a backlight behind it that allows you to see the display. There are no magic secrets to deciding which display is best. Go with the biggest you can find for the money you are shelling out. A 15.6 inch display has become pretty standard over the years. In today’s world, any computer should have at least 4 GB of memory with a 300-500 Gigabyte hard drive. Again, look for the biggest you can get for the money you are spending. So, how do you distinguish between processors? 20 years ago Intel was the only name on the market, so you had a choice between their older 386 processor and their newer 486. There was no confusion about which was better. Now there are many manufacturers out there with hundreds of processors on the market, and distinguishing between them is a guessing game to the uninformed. Unfortunately, some manufacturers take advantage of this and sell low-end processors in their high-priced computers. The uninformed public often doesn’t know any better. However, there is a better way!!! Geeks love to get together and compare toys. Benchmark testing is what the geeks use to figure out which processor is better than another. Lucky for us, these geeks also like to share their results!! Here is a site where you can compare microprocessors to see which is faster than another. Without this basic tool, there would be almost no way to keep track. This page shows almost all the laptop processors out there, along with their benchmark score. The higher the score, the better the processor. Often you will find two laptops around the same price, and one will have a benchmark of less than half the other. It’s kind of sad how the manufacturers play to our lack of knowledge. Please note that the prices listed on the benchmark page are for the processors only and should NOT be used as a gauge for the price of a laptop. 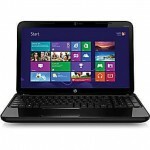 I have a list of recommended laptops in the Frugalberry Store, which I will try to keep up to date. Please post a comment if I fall behind and it needs to be updated.